KQED Education is a hub for learning and engagement for educators and students alike. Online courses for the educator who wants to develop the necessary media skills to lead a 21st Century classroom. Join teachers and mentors to power civic participation for a new generation of youth. Art School is a video series for people who want to learn about art. See interviews with contemporary artists working in performing, visual and media art, as well as how-to videos that demonstrate new ways to get creative and explain art-making techniques and concepts. Bring news, civics and current affairs into the classroom with new KQED News Education resource, The Lowdown. Explore the future of learning in all its dimensions — including cultural and technology trends, groundbreaking research, education policy and more. 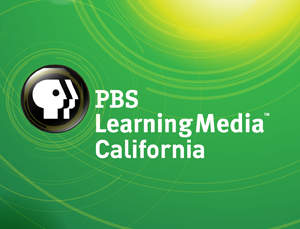 PBS LearningMedia is your destination for easy, instant access to thousands of classroom-ready, digital resources including videos and interactives. Flexible, online professional development for PreK-12 educators. Visit PBS Teacherline. KQED has partnered with CUE, which provides leadership and support to advance student achievement in the educational technology community. Visit CUE. CK-12 Foundation is a non-profit that creates and aggregates high quality curated STEM content. Visit CK-12. KQED has partnered with Promethean Planet, a world leader in the rapidly growing global market for interactive learning technologies. Get content on Promethean Planet.